Carpet Cleaning, Move out cleans , Office cleaning , School cleaning. Christchur­ch, Templeton, Prebbleton­, Rolleston, West Melton, Kaipoi, Rangiora. + After builders and Painters cleaning. *No job is too big or too small. We pride ourselves on being able to offer a complete service to a consistently high standard. *There are no hidden charges. *We guarantee sparkling clean and thorough results for your place. If it is not right, we'll make it right. If your world isn't bright, neither is ours. Call us for a free , no obligation review of your cleaning needs. Excellent common sense service - he said it would be shame to throw away good cleaning solution so he did 3 throw rugs and the hallway at no extra charge. Came on a Sunday afternoon when it best suited us. Will be using you again and again. Recommended to all. Thanks Golden Eagle. Excellent service. Great communication. Great cleaning. Great prices. Would definitely use again. Absolutely excellent service! The technician was friendly, and extremely helpful with the cleaning of our carpet and it was clear he had a very good understanding of his trade from the information he provided us! A speedy, immaculate service we will definitely be using again! Thanks a lot! Had our carpets cleaned today. What a wonderful job. Very clean and look like new. Very quick to dry also. Can highly recommend to all. Excellent all round service and extremely happy with the carpet cleaning. Would highly recommend to all. Couldnt get any better service than this. Quote online was easy and a good price, great communication, turned up on time and got in and got it done. Very friendly and even went out of their was to show me a trick to getting scuff marks off the wall which was wayyyy easier than the scrubbing I was doing and that was so appreciated. Carpets looked great afterwards. Very nice and friendly, we very much enjoyed the banter! Carpets looked great and dried very quickly. Definitely recommend! great , prompt service wth a great price. Great service, on time, quick efficient, all stains removed. Absolutely happy to recommend this company. They are the best carpet cleaners we have ever had. On time, reliable, great service , all stains removed. Thank you. 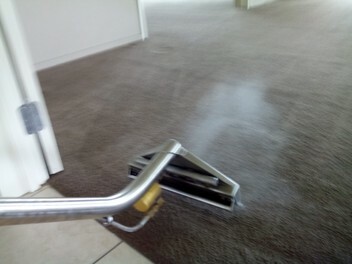 They are the best carpet cleaners in Christchurch. I don't use anyone else now, for the past 4 years they have cleaned our carpets and the results are fantastic! Wonderful service, great prices and a super finish. Thank you!